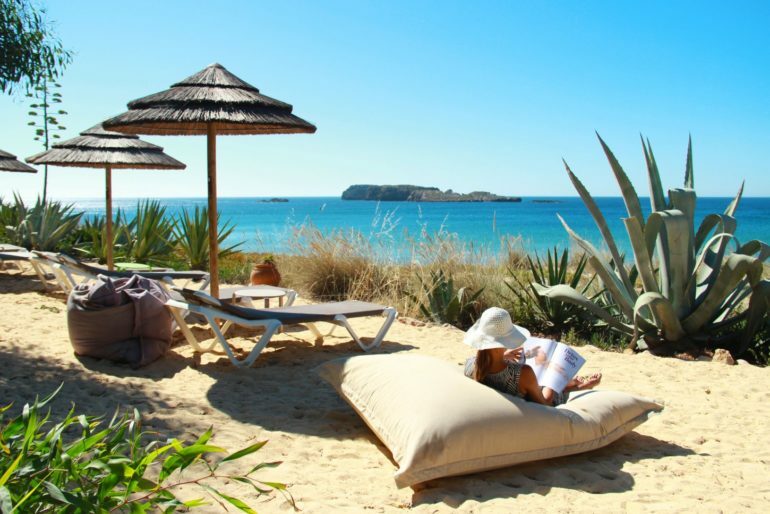 The Martinhal Sagres is certainly in the running for the best family resort destination in Europe. This beachside complex is ideal for those looking to spend some time abroad with children of all ages. In addition to offering plenty of activities to help keep little ones occupied, all of the restaurants and bars welcome babies, toddlers and other young children. This means that you can dine out without the worry of interrupting a romantic dinner for two or imposing on a gentle ambiance. Instead, the resort is positively bursting with energy and full of families having fun. 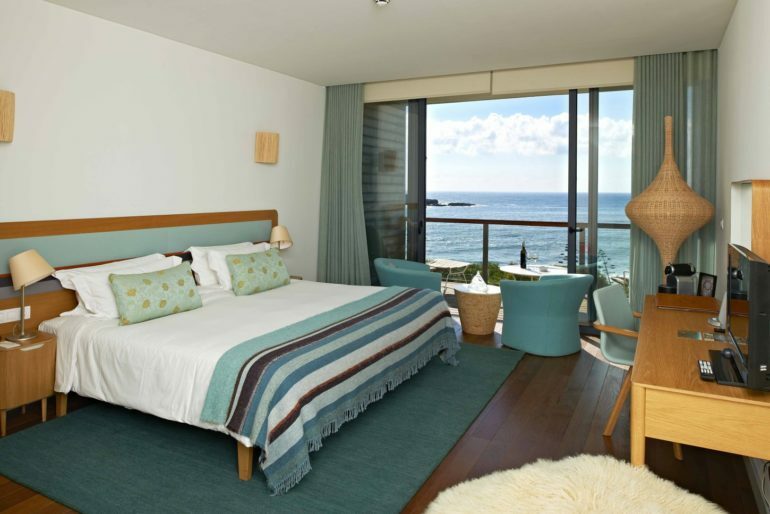 The Martinhal Sagres has a number of different accommodation options. Guests can chose to stay in the hotel part of the resort, or opt for a self-contained apartment. Some of these are bigger than others and there is a large selection of two and three bedroom properties. Some of the house style accommodation looks onto the National Park, while other areas focus on the sea or swimming pool as their key viewpoint. Luxury villas are also available to book for those who want to enjoy the very best space during a stay. The hotel rooms mostly face the beach and they are designed in a contemporary style. Close to the sea, pool and restaurants, the rooms all have private balconies or terraces to enjoy. The location of the Martinhal Sagres means that it can be blustery at times and it is an excellent destination for windsurfing. It is right on the tip of the coast and exposed to the elements. This can be pretty helpful for keeping young children cool in the blazing sunshine and preventing the likes of heat rash from flaring up; however, the winds normally pass during high summer and the temperature soars. The beach is absolutely stunning and totally unspoiled. The golden sand stretches seamlessly in to the sea and there are wild flowers growing in the dunes. The familiar cliff faces of the Algarve tower up towards the sky with rock pools tucked in their bases acting as fascinating areas to explore. In addition to beach time, the coastline beckons you to walk along the cliff tops and admire countless beautiful vistas. This is great for those travelling with a baby and, if you forget your baby carrier, you can borrow one from the hotel. The hotel also has a number of off-road prams available to loan for those wanting to get out and about. It is possible to walk to Sagres from the hotel and the route takes you all the way along the beach and up in to the town. Sagres is small and there are a handful of boutiques where you can buy clothes, items made entirely from cork and souvenirs. There are also several restaurants to visit when you take a day trip and you can stop for coffee, lunch or a beer. While it is always nice to have the option to dine offsite and embrace some of the local culture, the restaurants at Martinhal Sagres are excellent. O Terraco and As Dunas have great views of the sea. The fresh fish is delicious at the latter. Portugal is renowned for having enviable seafood and As Dunas certainly upholds this reputation. Away from the beachfront, there is a village square where restaurants boarder a child-friendly play area that has a purpose built base that softens any falls. Sunken trampolines, dolls houses, a karting track and bungee jumps make this a child’s paradise. Meanwhile, the outdoor sofas at The M Bar allow parents to sip a cocktail or two while watching their children make the most of the various apparatus. The M Bar is great for any rainy days too; there is a camper van inside for little ones to enjoy and a creche also backs on to the building. The Italian restaurant is located in the square and although it is a good place to dine, you can also avail of the brilliant takeaway service. Pizzas can be taken back to your room or house in the event that you fancy a family night in. Similarly, it is possible to buy various bits and pieces from the local shop, where you can only trade using your room key. 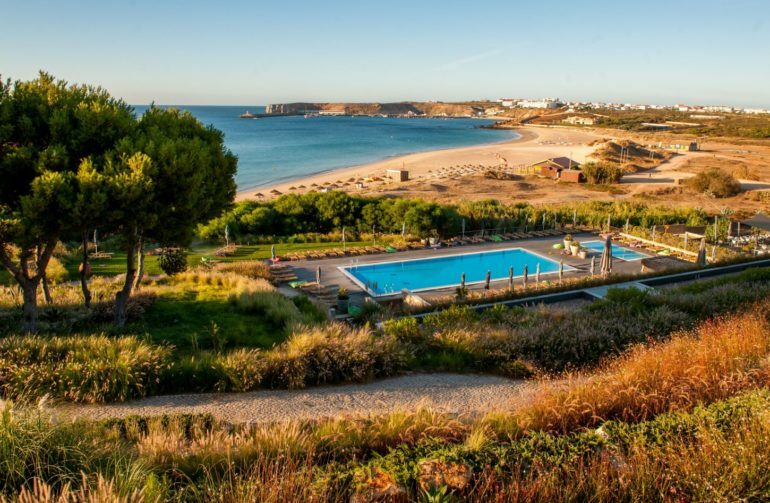 The sports facilities are excellent at Martinhal Sagres and the whole family can play tennis, go cycling or make the most of several swimming pools (both outdoors and indoors). The pods by the pool and sea are brilliant for keeping any breeze at bay and nabbing one of these early is a key insider tip! While the whole resort is very family focused and embraces children of all ages, adults can escape for some rest and relaxation. You can make the most of the childminding services, in the form of the activities, kids club or babysitting offerings and head off to the spa to unwind. The Finisterra Spa has been created to represent a piece of serenity. Finisterra means “end of the earth”, which perfectly describes Martinhal’s location because it is at the south-westernmost tip of Europe. The relaxation room is peaceful and there are many treatments available. The massage menu is extensive and this is probably one of the most popular choices; however, you can also make the most of various facials and body treatments. 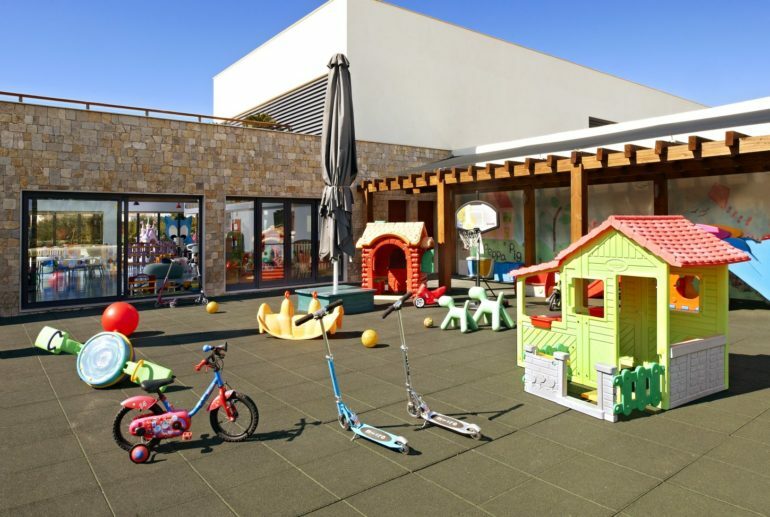 While it is nice to escape for some ‘me time’, the focus at Martinhal Sagres is on providing an inclusive family holiday destination, where you can make magical memories together. This resort is ideal for young children who want to play at the beach all day or make the most of the activities on offer. There is so much to do, and they will exhaust themselves with nature’s delights, before bonding over a family meal. Equally, Martinhal Sagres caters really well for babies. They have every accessory you could desire, which helps with travelling light (if that is possible with a baby!). All generations are welcomed and the resort also suits groups of friends who are looking to share some quality time together in a friendly and accommodating environment. 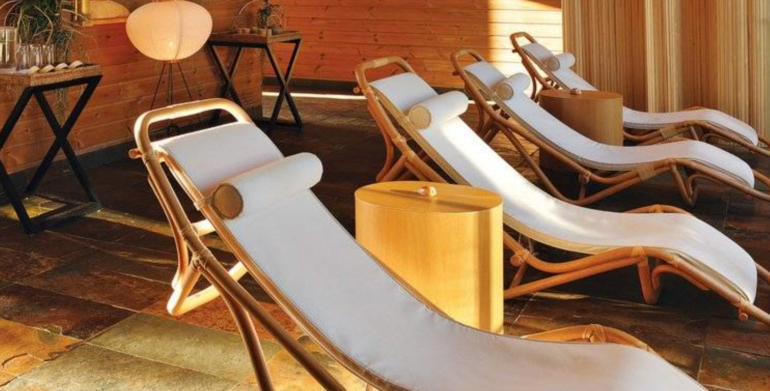 Find out more about the Martinhal Sagres and book at https://www.martinhal.com/sagres/en/ or by calling +351 218 507 788. You can fly to Faro from most UK airports with British Airways or EasyJet. The transfer is approximately 1hour 15minutes by car and this can be booked via the hotel.